What are Datatrac Great Rate Awards? 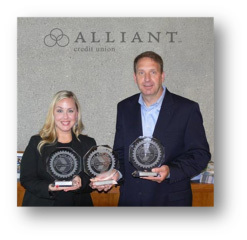 Datatrac Great Rate Awards certify that deposit and loan rates offered by financial institutions outperform the market average for comparable products and terms. Datatrac is an independent, unbiased research firm that specializes in compiling banking industry data and analyzing performance of deposit and loan products. We maintain America's largest database of interest rate data available to consumers with 1,648,658,012 current and historical rates for 217,246 banking locations in 19,535 local, state and national markets across North America as of Thursday, April 25, 2019. During our 25+ years we have served thousands of financial institution clients including the largest and smallest banking and credit unions, the Government Accountability Office (GAO) and the Federal Bureau of Investigation (FBI). Our data and analysis has been included in reports prepared for the Federal Reserve, the Senate and the House of Representatives. We have been cited in the Wall Street Journal, Washington Post, Kiplinger Magazine and numerous other organizations. Datatrac began making our unique and proprietary information available to consumers beginning in 2012.
Who can win a Datatrac Great Rate Award? Only financial institutions offering deposit and loan products are eligible to earn Datatrac Great Rate Awards. What products can earn Datatrac's Great Rate Awards? 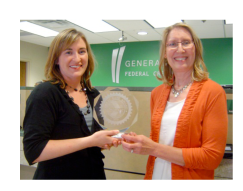 Most retail deposit and loan products are eligible to earn Datatrac Great Rate Awards, including money markets, savings accounts, certificates of deposit, mortgages, auto loans, boat loans, motorcycle loans, personal loans, credit cards and many other deposit and loan products. Specials, promotional offers, fees, terms and specific requirements (i.e. the fine print) are included in Datatrac's analysis. Where are Datatrac Great Rate Awards available? Nearly every city and county in the United States is included in Datatrac's analysis. Actual geography covered is based upon data from 217,246 financial institution locations as updated in Datatrac's databases. How are Datatrac Great Rate Awards computed? Market: Institutions included in the analysis must be within a defined metropolitan area, county, zip code or other geographical specification such as within a certain mile radius from the compared institution. Products: Only products with similar specifications are compared to each other. For example, a money market which is limited to three checks per month is compared to other products with the same requirement; a one year adjustable rate mortgage with zero points is compared to other mortgages with the same requirements. How often are Datatrac Great Rate Awards updated? 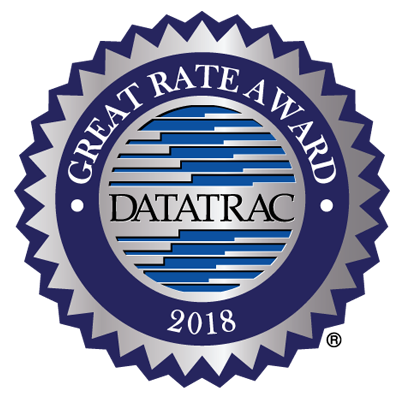 Datatrac Silver Great Rate Awards certify real-time performance which is updated every business day; Datatrac Gold Great Rate Awards certify historical performance evaluated for the time period specified. Where does Datatrac get its research? With 1,648,658,012 current and historical rates for 217,246 banking locations in 19,535 local, state and national markets across North America as of Thursday, April 25, 2019, Datatrac maintains the America's largest database of deposit and loan interest rate data available to consumers. Datatrac has privately collected information on financial institutions for over 25 years. Research is conducted manually by daily phone interviews with banking staff and by reviewing web site material, brochures and rate sheets published by financial institutions. Datatrac also conducts independent, unbiased research in partnership with S&P Global Market Intelligence and uses information published by third parties such as the Federal Deposit Insurance Corporation (FDIC), National Credit Union Administration (NCUA) and the US Census Bureau. How much do Datatrac Great Rate Awards cost? Datatrac Great Rate Awards are free to financial institutions who meet the certification requirements. Click here to see if your institution qualifies. How does Datatrac get paid? All Datatrac services are free to consumers. Datatrac is paid by financial institutions for providing research, analysis, software and other services to assist them in generating new deposit and loan business.